I woke up from sleep after what seemed like ages. I tried to lift my hands, but I could barely move them. I tried to listen to the voices around me. I heard the beep of the life support devices and the muffled voices of people talking to each other. I tried to make sense of the voices, but they were incomprehensible. The peculiar sterile smell of the place was strangely familiar. My head was aching. I felt like I was being pricked by a million needles all over my head. A sharp shooting pain ran down my spine and I felt as if I being electrocuted. My pulse quickened and the machines attached to me started beeping vigorously. I tried to wriggle out, but I couldn’t. I felt very heavy. I could only manage to move my body a bit in response to pain. It now occurred to me that I was in a hospital, probably in the intensive care unit. I tried to think hard, but I couldn’t remember how I ended up there. My headache was worse than the worst episodic migraine I’ve ever had, something terrible must have happened to me. The last thing I remember was examining a patient in my hospital. I tried to open my eyes, my eyelids gave way despite its heaviness. The room was empty except for me and the medical devices. Looking around, I saw that I was supine on the bed, connected to an intravenous line. A bottle of 5% dextrose hung from the pole of the i.v stand like a hideous fruit on a leafless tree. The side rails of my bed were pulled up. I had fresh bandages on both knees. The tip of my finger was attached to the sensor of the pulse oximeter. I looked up the machine on my right side and found that my oxygen saturation, pulse and heart rates were within normal limits. A crash cart, covered with a green cloth stood at the right corner. An ECG machine with unconnected leads sat on the shelf behind my head. There was a window covered with curtains at the far end of the room. I had no difficulty in figuring out where I was. I was in Calicut Medical College. A nurse, dressed in blue scrubs hurriedly entered the room. She pulled the plastic stool from under my bed and sat down. She had a long pointed face, neatly threaded eyebrows and gentle, brown eyes. She wore steel rimmed spectacles. Her hair was neatly tied into a bun. It looked like she was in her mid-thirties. I could say from her demeanor that she was from South Kerala. She smiled at me, studied my face for a while, and picked up the clipboard and pen which was on the head end of my bed. “How are you feeling?”, she asked in English, with a pronunciation suggesting an Oxford sojourn some time in her past. “My head hurts badly”, I said. “Besides, I can speak Malayalam”, I added after a while of silence. She looked mildly surprised. She continued the conversation in Malayalam, in what I thought was a southern accent. She noted down on the clipboard. It was clear that she did not know that I was a medical student. Gone are the days when medicos and nurses knew each other very well. “I am a writer”, I replied. Apart from being a medical student, I was also a writer. In fact, outside of the hospital, I always introduced myself as a writer. I was mildly agitated because she did not recognize me as a medical student. If the nurse did not know that I was a medical student studying in this college, there was no way I was telling her the same. She noted down something on the clipboard. “What day is today?”, she asked, after adjusting her spectacles that stooped beyond the bridge of the nose and was in peril of falling down. “Tuesday”, I said without a doubt. Tuesday was the out-patient day of my medical unit, when we had to examine patients in the Casualty in the afternoon. I might have had an accident during work or on my way back home, and might have got admitted to the ICU of the same Casualty. “Do you know where you are?”, when she asked, I knew that she was trying to test if I was oriented in place. “Calicut Medical College”, I replied confidently. She had finished the questions to test my orientation in time and place. The next question would test if I was oriented in person. I smiled inwardly. She stood up and reached out to a locker which was on top of the shelf where the ECG machine was kept. She turned the key twice, opened the locker, and took a camera out. I immediately recognized that it was an Olympus SZ-16. She swiped through the controls and turned the screen towards me. Written on the top right of the control button was my name. “Don’t you touch my camera”, I snapped. “Sorry. But I want you to identify this man”, she said firmly, pointing to the man in the picture. It was the picture of a man in his twenties, wearing a t-shirt and grinning widely. I looked carefully. Though I found him strangely familiar, I had no idea who he was. I didn’t even know how that picture got into my camera. “He looks European”, I said. “Probably from eastern Europe”, I added after studying his features. “I guess I don’t”, I replied truthfully. She then swiped once more and showed the picture of another man. He was taller, and had similar features like the other one. I couldn’t recognize him either. Then, she showed me a third picture. It took me a second to process what I was seeing. Then, my jaw dropped. I was standing between the two men whose photographs the nurse had previously shown me. It was evident from the picture that the men knew me very well. 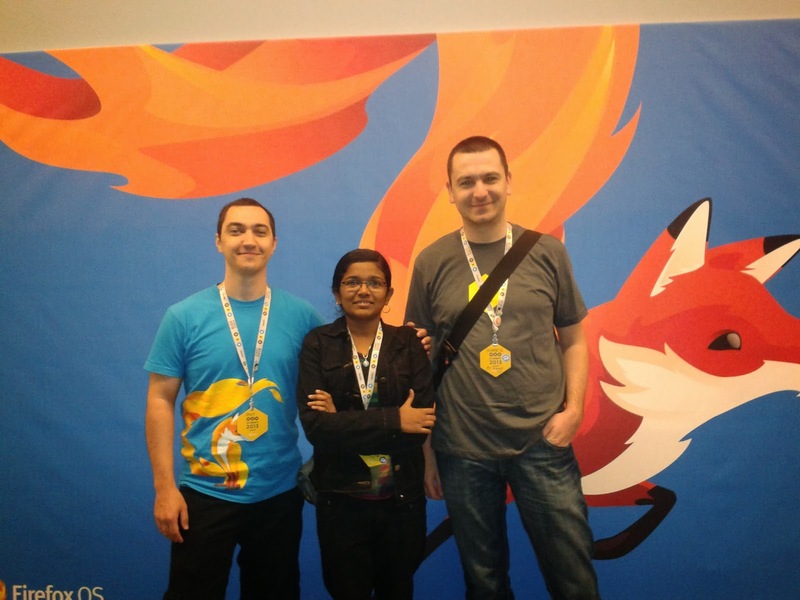 Their t-shirts suggested that they were associated with Mozilla/Firefox. Being a Mozilla volunteer for over a year, I tried to recall who they were, but I did not have a clue. I had clearly lost my memory. I was getting increasingly confused. I told the nurse that I did not know the context of the photograph. She smiled empathetically and asked me to relax. She looked up the monitor of the pulse oximeter and scribbled something on the clipboard. Then, she went out to call the doctor. In around ten minutes, the doctor arrived. He was a white, tall man in blue scrubs. He had a long pointed nose, golden hair and thin lips. There was a stethoscope around his neck. What struck me was that he didn’t look Indian at all. I knew that it was possible for foreigners to intern in my hospital, but since when did they start seeing patients in the ICU? The nurse talked to the doctor in French. She said about me being désorienté and embrouillé. Disoriented and confused. I knew enough French to make out what she was talking about. “I am not disoriented”, I shouted at them in English. The doctor looked at me and gave me a compassionate smile. He sat down on the stool near me and asked me in English if he could examine me. I did not protest. He took out a pen torch from his pocket and examined my eyes. When he took out another torch, I knew that it was for testing consensual light reflex – so I placed the medial border of my hand on my nose to help him to shield the light. He looked amused at my gesture. During the course of examination, I cooperated with extreme dexterity. After he examined for wrinkles on my forehead, I took the cue and shut my eyes tightly. Then, I blew my cheek, showed my teeth and grimaced, in that order, without being instructed to do so. I was helping him to test my seventh cranial nerve. The doctor’s amusement turned to surprise. He asked me if I were a healthcare practitioner. I replied that I was a medical student. He asked many questions during the course of examination, and I knew that he was trying to assess my higher mental functions. He told me that he had to catch up with many patients that day, so he had to be really quick. We ended the examination with me demonstrating dysdodakokinesia and Brudzinski’s sign without waiting for instructions from him. The doctor told me that except for a few superficial injuries on the arm and one knee, I was normal. It was a case of retrograde amnesia and he said I would recover soon. He told me that I had already started shaping new memories, indicating that it is a good sign. He assured me that he had looked into my CT scan reports, and had found that everything was okay. He left after giving instructions to to the nurse in French. I felt reassured. But I couldn’t yet recall the happenings that led to the hospital admission. The nurse moved the window screens before she left and I could look outside the room. The view was stunning. I could see a Gothic-style tower with a square tower body that narrowly pinnacled to an octagonal spire. 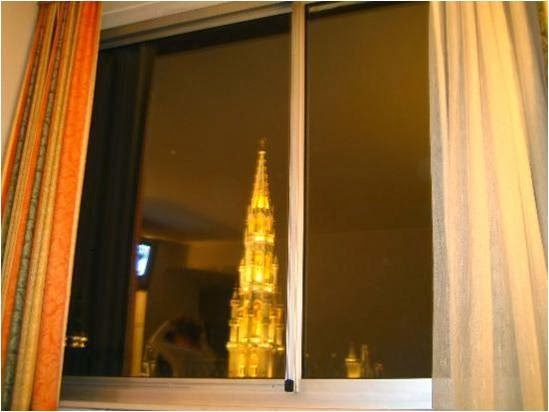 The metal statue of the archangel Michael was clearly visible through the glass window. Thanks to my high school research on medieval architecture, I knew that I was seeing the 96 metre long tower of the Town Hall. This monument was unique, and has long been the icon of a city and a UNESCO world heritage site. People visiting this city never miss taking pictures of this monument. The tower looked even more stunning in the night light. I swallowed at the thought of where I was. There is only one place in the world where this monument could be. Brussels, Belgium. I was over ten thousand kilometres away from Calicut. I now knew why the doctor spoke French, the native language of most Belgians, and why the nurse described me as disoriented when I recognized the place as Calicut Medical College. The stark realization made me feel sick. What was I doing here? Did I meet with an accident? How did I end up in Brussels? I scanned through the pictures on my camera hoping to recall something from my memory. On camera, I saw numerous pictures of people at what seemed like a party. It was evident that I has spent a long time with a bunch of people whose faces I could not recall. Just then, the nurse opened the door. “Am I in Brussels?” I asked in Malayalam. “Good that you started remembering things” she said. “Ahem, actually, I do not remember anything. I just made an intelligent guess on seeing this tower”, I said, pointing towards the window. She sat down beside me, and started talking in measured sentences. “The only thing we know about you was that you met with an accident while you were sightseeing with your friends. Your friends are busy at the hospital administration wing, entering your personal details into the hospital’s database, talking with the police and conversing with the Indian Embassy over phone. Personnel from the Embassy will reach here after 10 am in the morning to talk with you and find out if you need any help”. “Actually, do you know how I reached Brussels? I only remember examining patients in my college-hospital in India”. “I have no idea”, she shrugged. “Probably your friends know. They will be allowed to see you in a while. I suggest that you take some rest”. After checking the i.v lines, she turned to leave. I quickly held her hand, making her look back. “How, as a Malayali, did you land up here in Brussels?”, my eyes widened with curiosity as I anticipated her reply. “You might already know that a lot of the nursing workforce worldwide comes from Kerala. I immigrated to Belgium 5 years ago, and I’ve been working here for the last 3 years. I figured you were from Kerala from your passport and I asked the duty doctor to put me in charge of you”, her eyes narrowed as she smiled. “In fact, my duty gets over by 12 pm in the night, but I stayed on to ensure that you were alright. Now, that you are stable and conscious, I think I can leave”. I was speechless for a while. I managed to say a ‘Thank you’ at last. “There is an Indian nurse in the next shift. I have already called her up and asked her to take good care of you”, she smiled as she spoke. “And by the way, my name is Sheila. I have left my visiting card in your case record. If you have any trouble, don’t hesitate to call me”, she added. I thanked her again. As soon as she was gone, three men and a woman entered the room. All were in colourful Mozilla outfits. I immediately recognized that they were the people I saw in the pictures. “Good Lord, I hope you are alright”, the woman exclaimed. I later learnt that her name was Ana-Maria Antolović. “Sorry”, I said. “I can’t remember your faces, though you all look strangely familiar. I think I met with an accident and I can’t remember a thing. Not even travelling to Brussels”. “Big story”, the woman said. 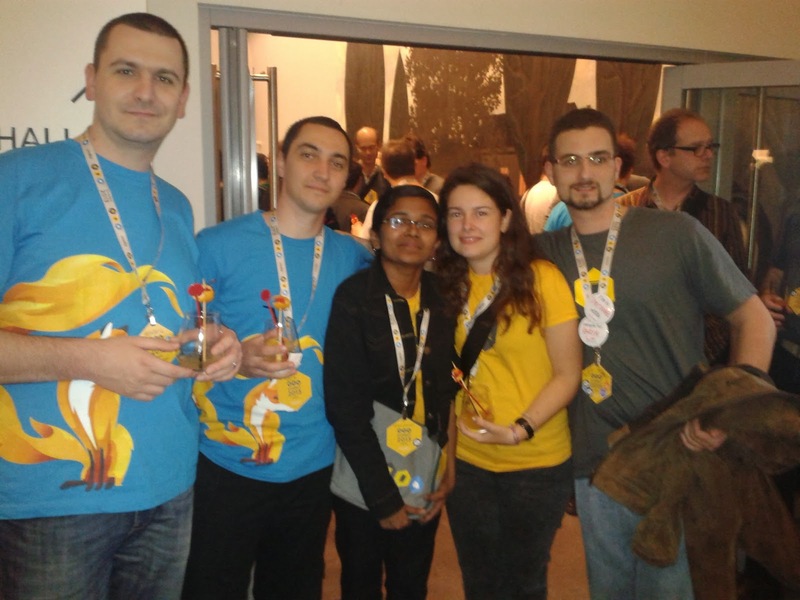 “You reached Brussels for the Mozilla Summit. We met you on the first day of the conference and became friends. You were returning to the hotel with us after the closing party of the Summit. As we were walking, an unknown driver speeded his car through the sidewalk and knocked you down. Luckily, you were not badly injured. You immediately fell unconscious, and we called an ambulance to bring you here”. “The doctor told us that you would recover soon and be able to return to your country in good shape”, she smiled as she placed a bowl of fruits on to the eating board attached to my bed. “Eat well and be strong”, one of the men said playfully. “Thanks people, too bad that I can’t remember the time I spent with you”. “You already have hundreds of pictures of us and the Summit in your camera. You will remember everything in no time”, the other man re-assured. We had a hearty laugh together. * Ana-Maria Antolović, Dejan Strbad, Saša Teković and Stanić Mihovil from Mozilla Hrvatska, Croatia for letting me use their pictures taken during the Mozilla Summit 2013 in Brussels in October 2013. * Neethu P.M and her elder sister for cross-checking the consistency of medical facts mentioned in this story. * Jeph Paul for spending several hours in copy-editing and reviewing this post. * Neethu Santhosh, Neethu N.T and Sona Sathian for reading the story from a medical student’s perspective and providing me with valuable criticism. Disclaimer : This story is a work of fiction. However, all characters, monuments, institutions and places mentioned in this story are real. The thread of this story has resemblance to the incidents mentioned in Chapter 1 of Dan Brown‘s novel, Inferno. The author was inspired by the novelist’s fast-paced plots that revolve round an intriguing incident described back-and-forth in time. I first saw you on-stage at the public speech contest held at Vythiri when you were a high school student. I was a contestant at the versification contest at one of the off-stage venues, and my contest finished two hours later than expected, so you were half way done when I reached the main stage where you were speaking. The essence of the topic of your extemporatory speech, I later understood, was “Science and Superstitions”. You were average in height, with slender build and narrow shoulders. You wore steel-rimmed spectacles whose refraction partially concealed the glow in your eyes. You were unconcerned about the heat of the media lights, the height of the podium you were standing on,the echoing of your voice from the huge microphones and the five hundred or more pairs of eyes which were watching you, measuring your every word, expression and movement. Silence. Followed by a huge applause. “Science should be the most powerful tool with which the educated youth should fight superstitions”. You paused to let the audience reflect upon the statement. “And we all are here, just in time to revolutionize the world with rational thoughts”. You ended. You walked away from the stage before the audience could stop the huge applause. And that was the first time I saw you. I’d never forget the way you probed the audience, as if sending a message directly to me. I wanted to give you a handshake. But you happened to be so inaccessible to me at that time that I didn’t even attempt to meet you in person let alone giving a handshake. On the next day evening, when the prizes were being distributed, I carefully listened to the list of winners to find out if you were one. Your name was announced twice, as the first place holder of the extemporatory speech and debate. A teacher from your school received the prize on your behalf, as you had already departed from Vythiri by then. You were to represent Kerala state in the National Contest to be held during next month. Your name was Arun Prayag. Long after, I accidentally saw your profile while scrolling through dozens of friend suggestions offered by facebook. I am not someone who likes going through the facebook profiles of random people, but there was something that made me to click on your name impulsively. It was the familiarity associated with your name or it was the gleam in your eyes that made me feel like you are probing my eyes: I am not sure which of these made me look into your profile. I discovered from your profile that you are my senior at college, and suddenly realised that you were the debater I saw at Vythiri four years back. I quickly scanned through the list of current students on the medical college’s website and found that you are now pursuing the compulsory rotating internship at the hospital attached to the medical college. You would have been posted in any of the twenty departments in the hospital, each of which is further broken down into three to six units. It was near impossible to find out where you were, unless I ask for information from one of your batch mates. I went through the posts on your facebook wall and found that you were quite active there. You had posted statuses, links and comments about irrational governmental policies, emerging diseases and healthcare tips. You also had also shared anecdotes from your life as an intern. All these sounded very much like you, confirming my suspicion that you were indeed the debater I once looked up with respect. I overcame the urge to send you a friend request, fearing that you might not accept my friendship because you do not know me in person. In the following days, I looked for you while I passed through the corridor from one ward to another, among the team of doctors that conducted morning rounds around patients lying down on mats in the verandah . You were expected to be the one without the white coat, kneeling down on the floor mat of the patient, wearing the stethoscope round your neck, explaining the details of the patient to the small group of white-coat-wearing senior doctors and jotting down the orders on the case record. You were not to be seen in any group of doctors I saw. You were never to be seen at any of the community events at college which made me think if you had shrunk to medical books the way many of the medicos have done. You were not to be seen at the entrance coaching institute like the many interns who choose to devote their weekends to study for the post-graduate entrance exams. You were not seen in the coffee-station where doctors, medics and nurses hung out after their ward rounds to gossip over a cup of coffee. You seemed to be literally non-existent. Eventually I stopped looking for you and forgot about you altogether. It was a particularly busy day in the Outpatient department. In addition to the interns, medical students were also asked to help out the consulting physicians by examining the patients and explaining the findings. Names of people were being called out through the microphone every once in a while. People who were impatiently waiting for their turn had started to encroach into the cubicles of doctors to find out when their turn would arrive. The Outpatient tickets were being stalked on the physician’s desks from time to time by the green-uniformed nursing assistant. It was half past one in the afternoon when the queue in the OP thinned, when medical students were let go. I sighed in relief when I was finally released from work. Being too tired and hungry, I walked my way to the coffee station anticipating to have some light snack before going to the lecture class which would start in 30 minutes. The coffee station had glass-shelves, which displayed fried snacks of various shades of brown and different shapes – round, triangular or doughnut shaped. As it was late in the afternoon, there were not many people hanging out at the coffee-station. I bought a coffee and idli-vada, and sat down on one of the empty seats close to the entrance. After some time, a man sat down on the seat directly opposite to me, despite several other eating tables being vacant. I quickly looked up, and found that it was you. “Yes”, I replied. I was surprised that you knew my name. “And you are Arun”, I said. You looked amused and all the more surprised to be recognized. You were amazed to learn from me later that I remember you from the high school public speech contest at Vythiri. We talked. You told me that you know me from the organization I am volunteering at. That you had also joined the same organization a few months back. That your busy schedule at the hospital is keeping you from spending more time on volunteering. That you have moved from public speaking to digital writing. That you are planning to launch a digital magazine about medicine and health in Malayalam language. That you are reading Albert Camus’s ‘The Stranger’ and is thoroughly enjoying it. That you aspire to become a physician-scientist. That you had won the third place for the debate contest at the National level after winning at Vythiri. That you feel like it has been ages since you made your last public speech. That you are posted at a community health centre in a village close by, which justified your absence from the hospital. I felt as if you were my acquaintance for a long time, though that was the first time we met. Our talk continued for a long time even after we finished drinking the coffee. I had to interrupt and wind up our conversation to reach in time for the afternoon lecture class. We parted after promising to keep in touch with each other. When I checked my facebook account that evening, I found that you had dropped a friend request. The Medico is provided with a beaker of urine. She is asked to report the abnormal constituents present in it. The Medico is a genius, you know. She knows the whole biochemistry lab manual by heart! She performs all the tests in a flick of the second. She also performs the advanced tests mentioned in the PG manual. She diagnoses the disease as Acute tubular necrosis. None of her lecturers know this diagnosis. So they take The Medico to the HOD. The HOD performs certain tests and confirms it to be Allergic interstitial nephritis. The Medico then points out the fifth paragraph in the 1543rd page of the Text Book of Biochemistry. On reading it, The HOD gets convinced that The Medico’s diagnosis is right. The HOD weeps with joy and hugs The Medico. He confers upon The Medico the gold medal for Clinical Biochemistry. The Medico was scolded for being late to the lab. The Medico was instructed to go to the toilet and collect the urine sample. Yes people. You heard it right. Medicos use their own urine samples for urine analysis. The Medico got only half a test tube of urine (That’s why they say, don’t empty your bladder the day you have biochem labs). So she borrowed one beaker of urine from her neighbor. The Medico performed the tests and reported proteinuria. The lecturer scorned. The Medico repeated the test and reported ketonuria. The lecturer mocked. The Medico repeated the test for the third time and reported hematuria. The lecturer agreed and gave her a C- for the experiment. Then the lab assistant came over and announced that she had, by mistake, given The Medico the wrong sample and the actual diagnosis is proteinuria. If murder wasn’t a crime, The Medico would’ve killed the lab assistant. Armed with this stunning information, The Medico rewrote her lab record. She was the last to leave the lab. The Medico loves biochem lab hours- because of the floral smell of ammonia, because of the colorimeter and urinometer which never give the accurate values, because of the water bath that never fails to choke her, because of the unconditional love extended by the staff. Yes, The Medico loves biochem labs. Indeed she does. This post was first published on google buzz. Turning the pages of the big blue photo album, my mom spoke about your mom. From the album, she showed me a photograph of your mom, whose edges had soiled in the course of time. In the photo, your mom and my mom were sitting on a stone bench in front of a fountain in a garden full of red roses. Your mom looked beautiful in the blue saree whose end was draped around her clavicles, just as one wound wrap a shawl around one’s shoulders. The photo was taken during the college trip to Ooty five years before I and you were born. I remember your mom vividly. She had gifted me a stuffed white rabbit (which I named Loonie) for my second birthday that played a tune if a key at its throat was turned – a toy which remained my favorite till it lost its fur after I gave it a bath in the shower. I loved her because, as a pediatrician, she only gave me sweet round pills (that came in a small white bottle) for every illness and never bitter ones like the doctor at my neighborhood. Unlike my mother, she used to wear a red dot of saffron on her forehead between the parting of her hair and sandal paste above her bindi. I, as a child, loved her for everything she did, even for the perfume she used and sarees she wore. I was five years old then. Afterwards, your family shifted from Calicut to Thrissur. My family arranged a party for yours the day before you planned to leave Calicut. You were left with me in my room while our families dined upstairs. I gave you my building block set and yellow tricycle to play, just because my mom had instructed me to do so. You created a tall castle with the blocks, and rode around the room on the tricycle, blowing the horn everytime you crossed my chair. You said you had video games at home, a thing I hadn’t heard of. You refused to play with my dolls, saying that it is girly stuff. You flied my toy aeroplane using its remote control, and told me that you will grow up to become an aeroplane-driver. Your name was Arun. Afterwards, you were called upstairs for food. You refused to eat the fried rice my mom had painstakingly made and settled for a bowl of icecream. Afterwards, you fell asleep on the sofa and you were lifted to the backseat of your dad’s car and you were driven home. That was the last time we met, apart from meeting each other after 14 years, at Ooty, as classmates. After moving from Calicut, we seldom spoke of you. Both the families shrunk more into themselves that by the time I joined college, you were entirely forgotten. One morning, your mom called up my mom on phone to convey the news that you were joining Calicut Medical college. I was about to join the same college, too. The phone call from your mom after a long time lifted up my mom’s spirit greatly so that she kept talking about Sumithra all the day and showed me your mom’s photo in the album. As I turned the pages of the album, I looked for your photo, anticipating that at least one would be there. There weren’t any. Your form had long vanished from my memory, and remembering you wouldn’t help me much because you would have changed a lot over years. After my first day at college, mom asked me whether I had met you. I said no because in my batch there were six people whose name was Arun. She asked me to look out for Arun Prayag, so I carefully watched while your name was called out when attendance was called out so as to see you. And I saw. You had bushy eyebrows like your dad and almond eyes like your mom. You weren’t very tall, but you looked attractive in the black rimmed spectacles, black shirt, blue jeans and white sports shoes you had worn. I hadn’t expected you to be this handsome. In the coming days, I saw more of you. You used to reach the lecture hall first, ahead of everyone. Sometimes, I used to reach first, but I would wait in the corridor outside the hall for you to collect the key and open the door of the hall. We would enter together. Although our eyes would meet, you never seemed to acknowledge my existence. You didn’t care to notice me, or anyone, for that matter. You seemed to be busy pressing buttons on your cell phone all the time, which I assumed, was an iphone. You had a very few friends, and you absented yourself from every non-academic function held in the college. People thought of you as a tough guy. You were indeed one. New Year came. Our batch decided to celebrate the New Year at Ooty. I thought you wouldn’t attend the trip, but you came. We traveled in the same bus, you sitting at the far end of the back row, alone, and me with my friends in the first. You didn’t seem to be interested in sightseeing, and were fully absorbed in your Dell laptop. Even as the bus stopped at various tourists spots, you hardly came out of the bus. Unlike others, you did not bargain for the goods you bought from the wayside vendors. You were, in total, a different guy. I and my friend Sona took a snap from the same stone bench where my mom and your mom had posed for a photo 26 years ago. At the end of the tour, it was time to exchange the New Year gifts. Everyone would pick up a random bill from the lot and would give her/his new year gift to the person whose name is on the bill which she/he picked up. The name of the new year friend was to be kept secret till the gifts were exchanged. Everyone had bought a gift for their respective New Year friends during the tour, but you hadn’t. The gifts were to be exchanged during the campfire. I gave the gift I had bought for my New Year friend and wished her a happy new year. In about half an hour time, everybody had identified their respective new year friend and had exchanged their gifts. But I didn’t get any. “Netha…” a voice called me from behind. I turned back. It was you. You gave me the gift you had in hand – a small rectangular package covered with shiny blue wrapper with a red ribbon tied around it, the ribbon knotted on top. “Open it”, you said, which sounded more like an order to me. I sat down, on the grass, a little away from the campfire. You sat close to me, looking only at the blue package I had in hand. I pulled one end of the ribbon, and it unknotted. I carefully removed the cellotapes around the package and took the gift out. It was framed photo. The frame was golden in colour, which had the words ‘friendship’ etched on it. The photo was of two kids, you and me, taken during the party at my house, 14 years back. I was wearing a red frock, and you blue shirt and black trousers. You were holding my aeroplane in hand and I was holding my doll. On the background was my yellow tricycle. For about two minutes, neither of us spoke. “Liked it?” you broke the silence. “I am bad at choosing gifts”. We sat for some more time, speaking nothing, staring at the twinkling stars in the dark blue sky. A few metres away, our classmates were dancing and singing near the campfire. “I am leaving our college”. Medicine is not my passion. My interests lie elsewhere. I have been awarded a scholarship….by the College of Engineering, at Glasgow, in the United Kingdom. I will be dropping MBBS course and will be joining aeronautical engineering. I hardly have friends. You are the first person with whom I shared this news. I got the confirmation letter via mail today. I haven’t even told my mom about it. “Good luck,” I finally managed to say. “Thanks,” you said. You got up and walked away. Throughout the return journey from Ooty, we didn’t speak anything. After about a week or so, you obtained your clearance certificates and left the college. You didn’t even pause to say anyone goodbye. If you love reading The Cunningham’s Manual Of Practical Anatomy, God save you. Welcome to the club. Feel free to have a drink. If you have no idea about the book I am speaking of, hold on. The Cunningham’s Manual is every medico’s nightmare. The peculiarity of this book is that it is un-understandable. Most of them who tried to interpret Cunningham have perished in the attempt (May their souls rest in peace. Amen.). Rest of them are either nuts or are Professors in Anatomy department. Cunningham is known to have tortured medicos from times immemorial. He is the lone survivor in the dissection hall. His lesser known (and therefore, less toxic) counterparts – Chaurasia and Dutta were mercilessly thrown out through the window when they tried to enter the dissection hall. Ever since, medicos are striving to legalize the entry of Chaurasia to the dissection hall. The fatal disease in which the patient has an irresistible urge to read Cunningham is called ‘Cunningham’s syndrome (CS)’. Such patients are referred to as Cunninghamists. They are normal individuals, except that they smell of formalin. Cunningham’s syndrome is of two types: congenital and acquired. (i) Congenital CS : These Cunninghamists are born with silver scalpels in their mouths. This syndrome is usually found in individuals who are genetically related to Henry Grey. They have an irresistible urge to dissect every corpse and have a continuous craving for gold medal in anatomy. Incidence is one in 200. (ii) Acquired CS: Acquired syndrome is not evident until PG entrance. Once the victims crack the PG entrance and enter Anatomy department, they are forced to read Cunningham. Due to the constant, uniform and slow Cunningham poisoning, they become Cunninghamists. The striking features are gloved hands and presence of forceps in coat pockets. Cunningham contains a neurotoxin called somnabulin, which when administered orally causes the paralysis of orbicularis oculi and the consequent drooping of eyelids. It is also known to cause sudden involuntary, jerky movements of the intrinsic muscles of the tongue when a question is asked by the Professor at the dissection hall. Further research on the toxic effects of Cunningham is still under progress. The Cunningham’s Manual contains numerous diagrams, which are as abstract as Salvador Dali’s paintings. Medicos use these diagrams to scare those kids who refuse to eat their vegetables. The Cunningham is also known to have caused ‘exam madness’, which is characterized by blah-blahing, unstoppable writing and excessive consumption of answer sheets. Cunningham is lovingly (pun intended) called ‘Kannettan(കണ്ണേട്ടന്‍)’ by Malayali medicos. Medicos love Kannettan and Kannettan loves the medicos in return. They make such a happy couple (sarcasm intended). P.S : Non-medicos may substitute the name of their most ‘horrible’ textbook with Cunningham.